High-Fidelity Music Parametric Equalizer for iTunes Library. Powerful Effects combined with Easy and Versatile User Interface provide best ways to Enhance Music Listening Tastes. Turn your typical Earpod into a quality Headset with Simple Twist to Enjoy far Richer Range of Sound impossible to hear with any Regular Music Player. Dramatically Enrich EarPhone's and HeadPhone's Listening Experience. › EQ & Input Preamp Settings is for each Left or Right channel (Full HD Parametric Equalizer). › EQ & Input Preamp Settings is for both Left and Right channel (HD Parametric Equalizer). 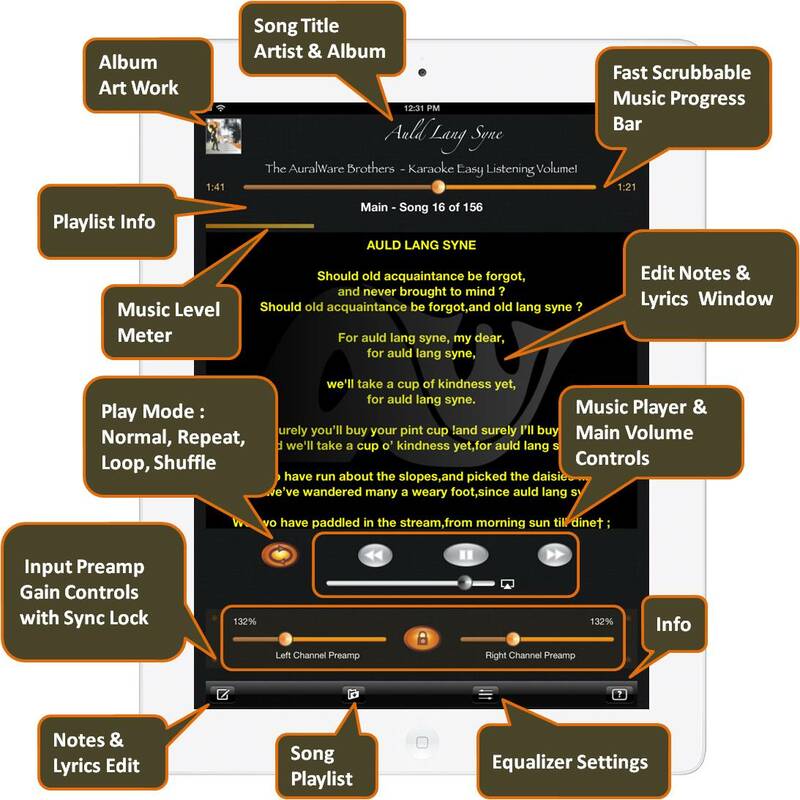 › Comprehensive Playlist Creation & Management Functions and fast Audio Scrubbing. › Parametric EQ offers Precise Setting of 10 EQ points' parameters: Frequency and Level. › Frequency is anywhere within full Audio Range ([0 Hz,22050 Hz]). › Level is anywhere within a large dynamic range of 100dB (-50dB,+50dB). 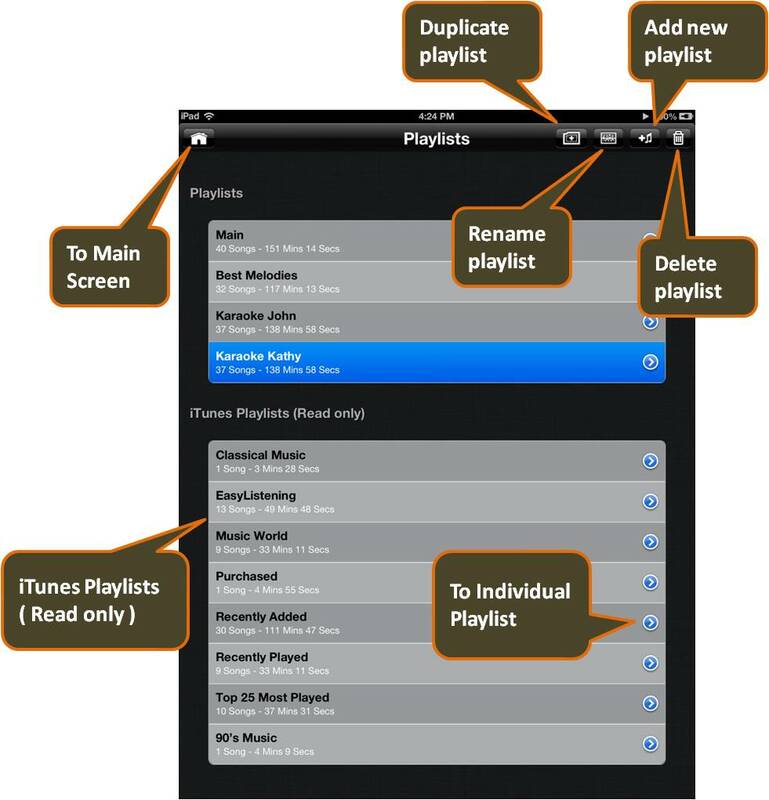 › Songs are easily inserted into a Playlist in any order. ( Even a same Song in a Playlist can have different EQ Effects customized for different listening mood ). 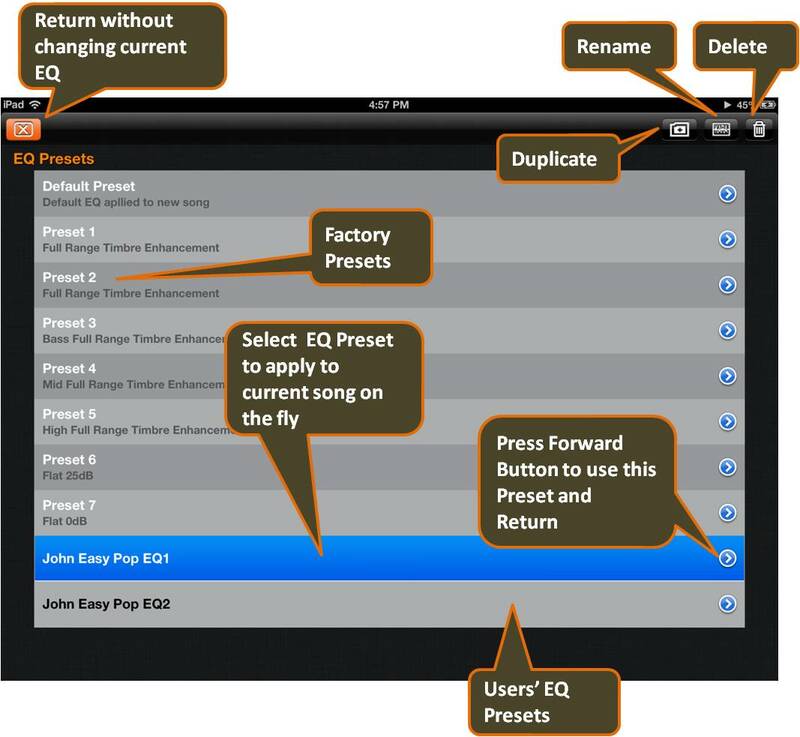 › Factory EQ Presets provides Common EQ Configurations and Ease of Creating User EQ. 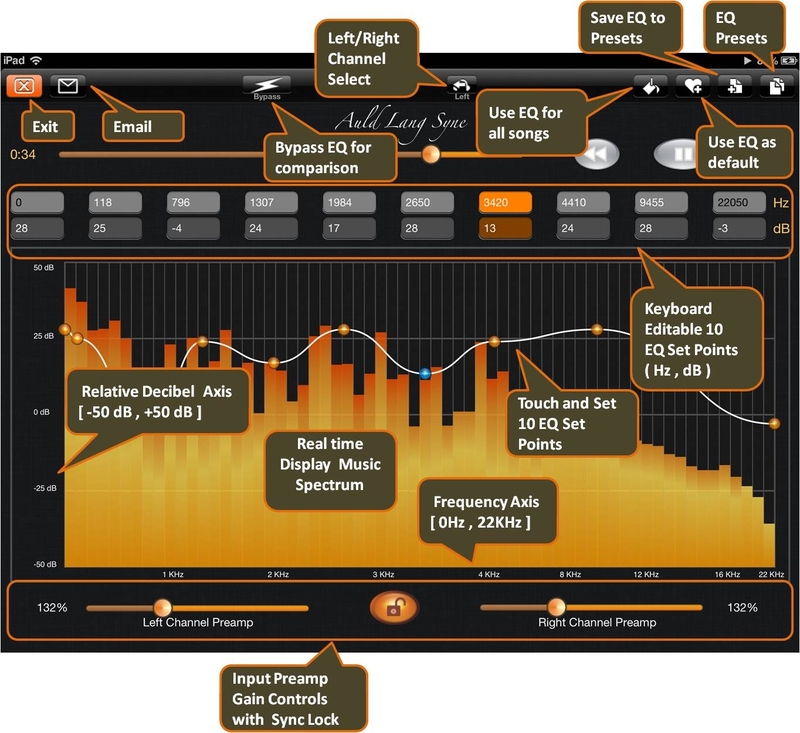 › Advanced Audio Processing Engine delivers Best Dynamic Range EQ effects at Any Frequency. › EQ Bypass mode for easy Comparison. 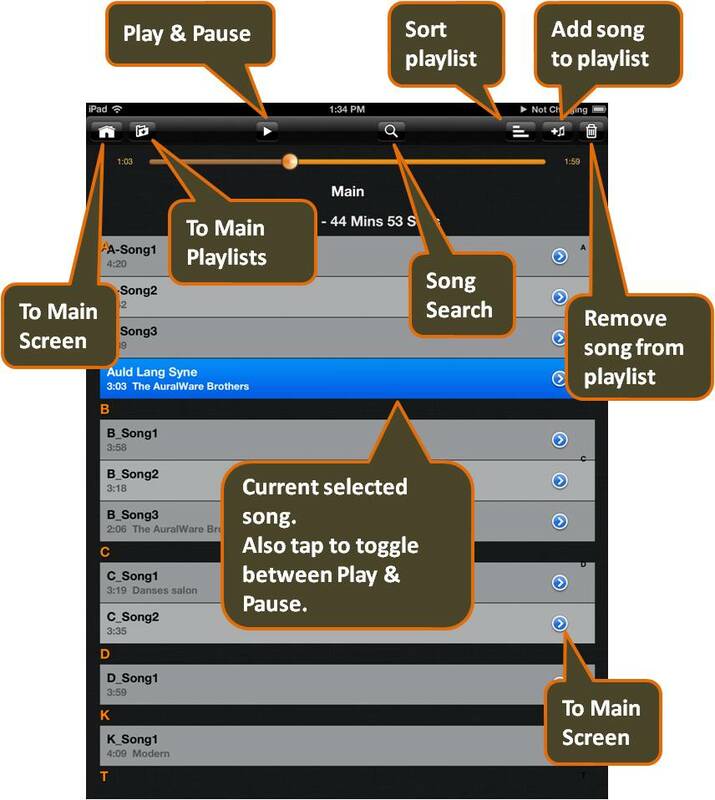 › Edited Song's EQ can be saved as User EQ, Default EQ and/or can be applied to all Songs in Playlist. 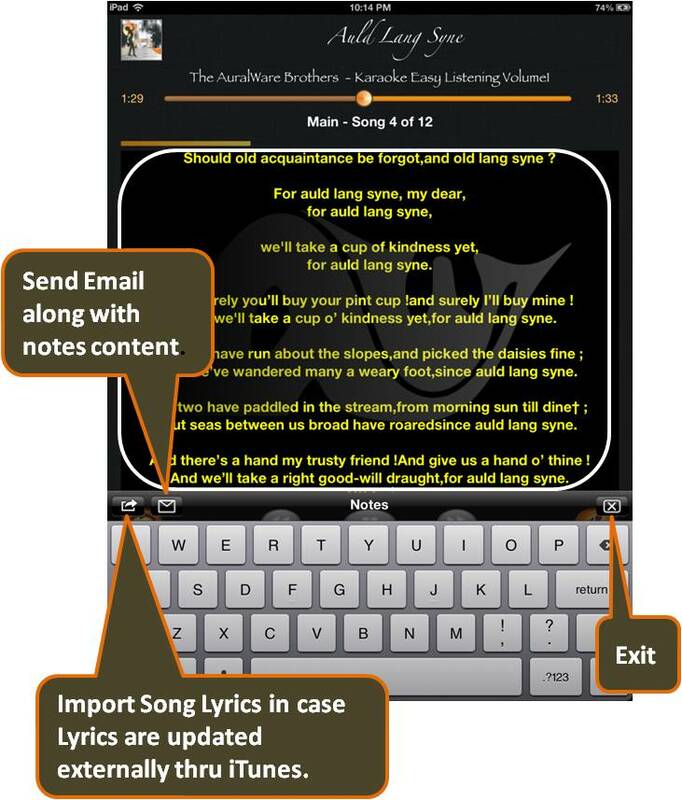 › Editable Note to hold Customized Lyrics & Song Info. › Smooth Background Operations in Concert with Interruption of Voice Call and/or Other Apps.